Have you ever bought a bunch of the same yarn that you planned on using but never got around to it? 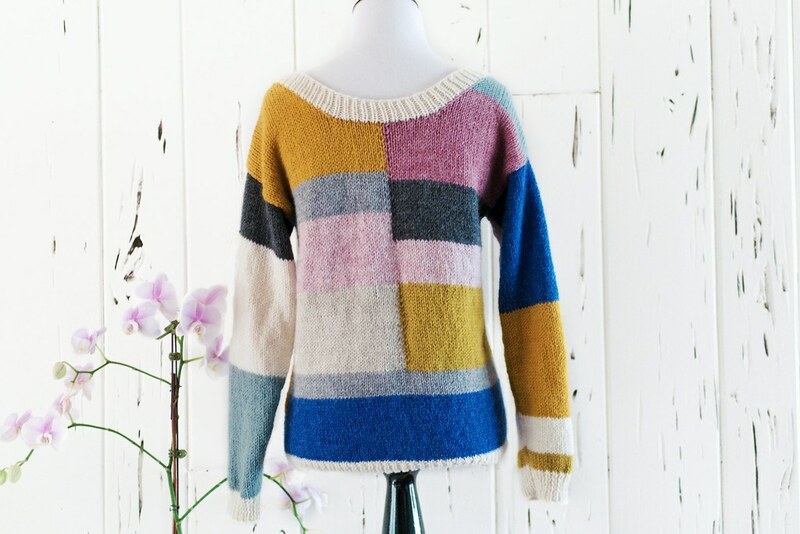 This is what happened to with the yarn that was eventually used to make this sweater. I made a few hats with some of the yarn but did not end up using all of it. I’ve seen sweaters made from scrap yarn and thought that would be a perfect idea to make a sweater. Some of the colors complemented each other and others were contrasting enough to stand out. I sketched out an outline of what colors I wanted where. I didn’t want to make scrap yarn sweater that knit up until I was out of yarn. Instead, each block is made using the intarsia technique. I like how the blocks are not all even. I chose a wider neckline to give the sweater a more relaxed look. 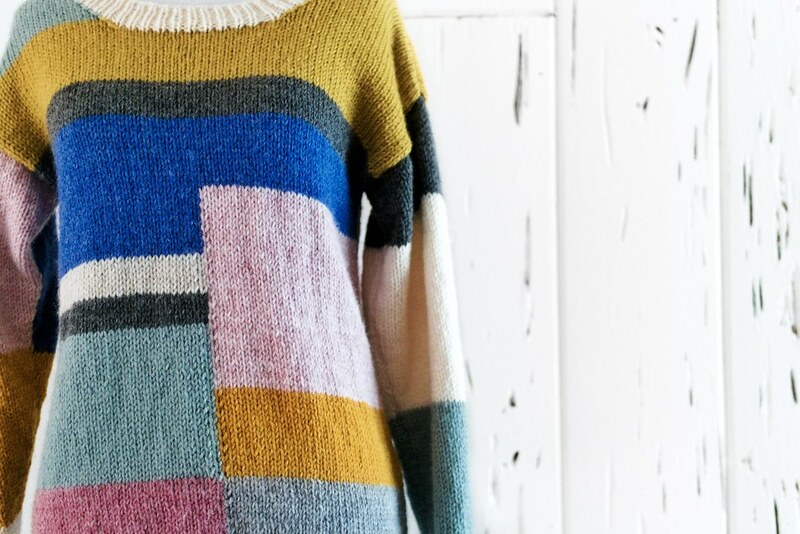 This sweater is made of wool-blend yarn that makes it soft and warm, but also durable. 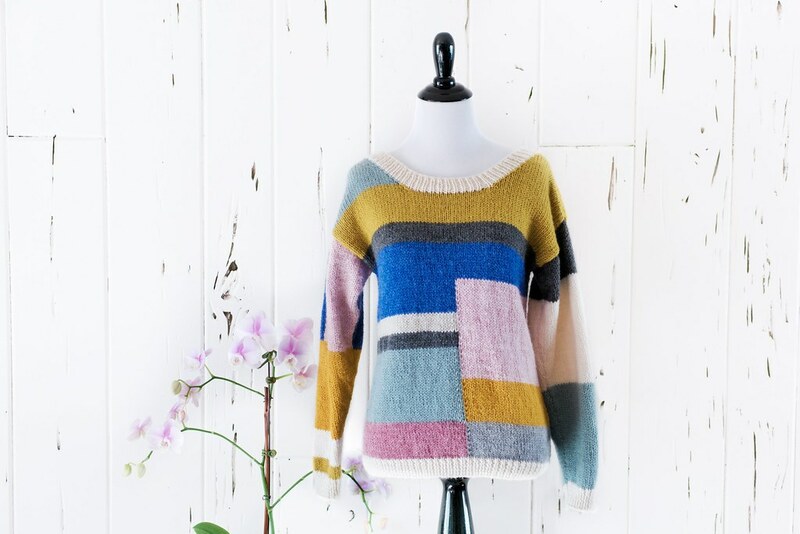 This color-block sweater looks complicated to make but is so simple because it’s only stockinette and ribbing — both using just knits and purls. It is currently displayed on my dress form and has been for a while. Probably because I haven’t knit something that fits on a dress form, i.e. socks, but also because it’s such a beautiful piece.